Bursting on the indie hand dyed yarn scene, a new sport weight organic cotton from Quiet Nova Studios. Like her name implies, Quiet Nova brings the subtle eco values of 100% organic cotton in all the vibrant, almost neon, colors of the sun! Stumbling across her from a little time on Etsy, Tabitha Kush, generously sent me a skein for testing and review purposes. Let’s check it out together! Care: For best results, hand wash in warm water and lay flat to dry. Adding a splash of vinegar to the rinse will help keep your colors bright. You can machine wash this yarn if you prefer and tumble dry on low. Be sure to wash your finished project by itself the first time; I do my best to rinse out the excess dye, but better safe than sorry! All of my yarns are hand dyed and every skein is one of a kind. As with any hand dyed yarn, there will be variations in every skein. Tabitha currently has 11 colors on offer in her Etsy shop, but is open to custom orders. 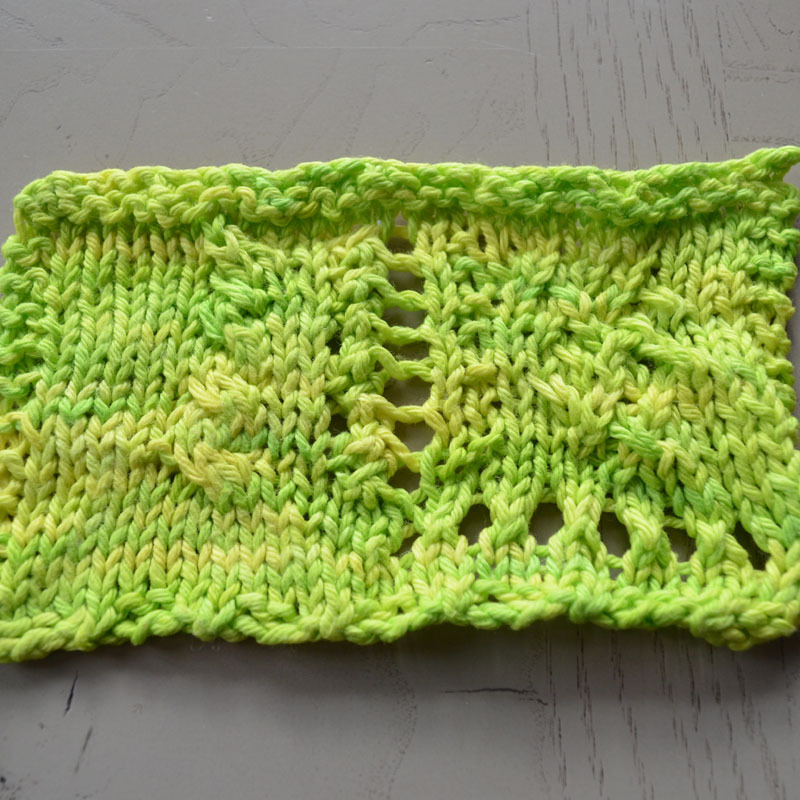 “Nature’s First Green” shown in the yarn review. 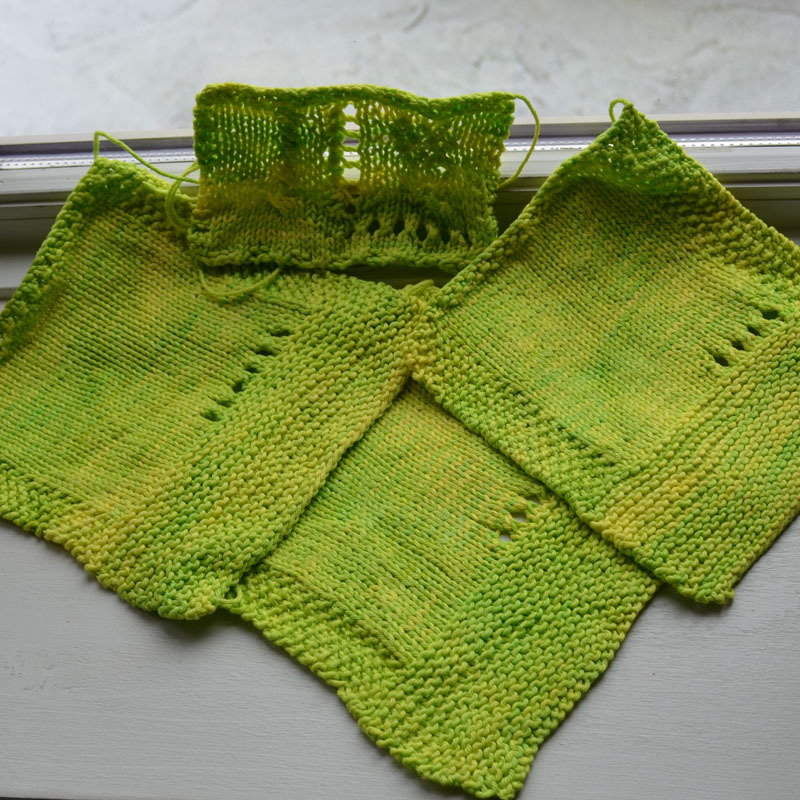 Swatched for gauge in Garter and Stockinette on US 4, 5, and 6. US 4 was the most pre- to post- washed stable. 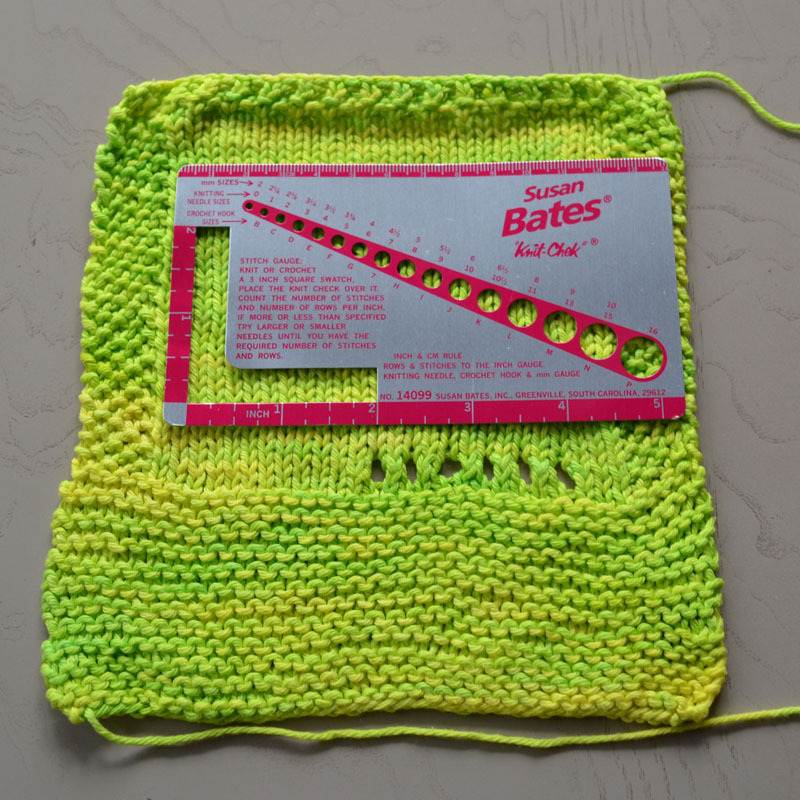 Row gauge was more variable than stitch gauge across all sizes. 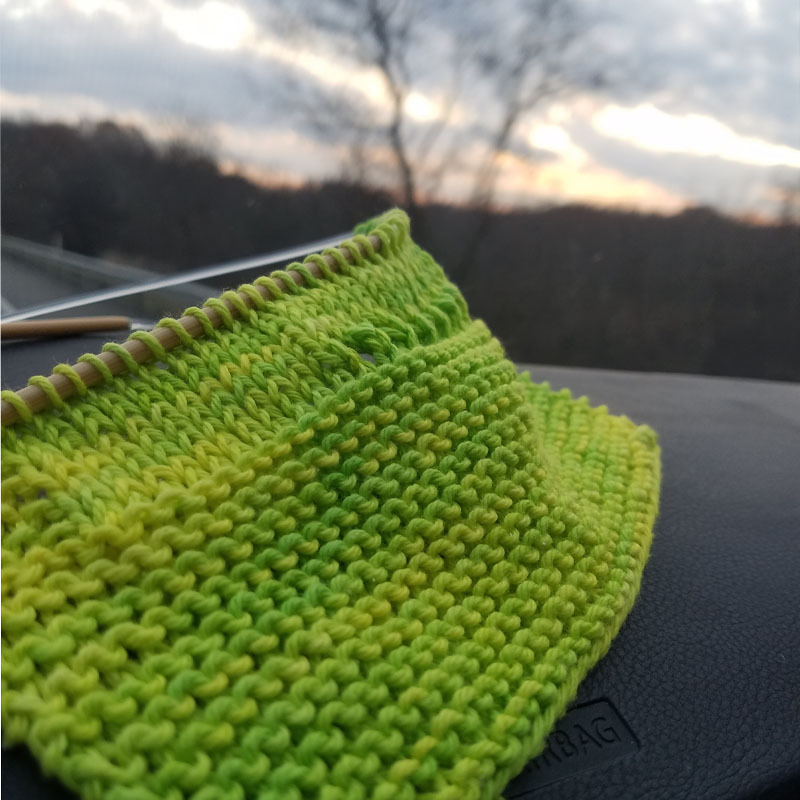 Stitch gauge staying consistent with a max of 6% change regardless of stitch. Row gauge jumped as far out as 12% change in the Garter. 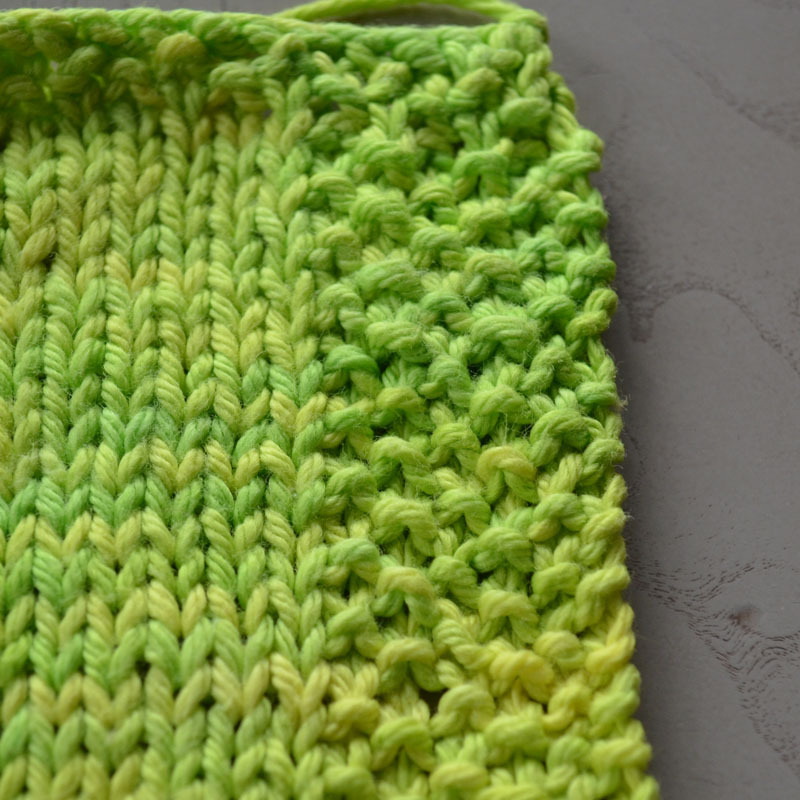 The row gauge for Stockinette was much more stable with less than 5% change. Stockinette and Seed were my two favorite stitches on this yarn. Cables and simple eyelets look great too. I found more complex stitch patterns to fight. It’s more a matter of what works with the colors over the fiber. The structure of the yarn is a standard I’ve seen on many organic cotton yarns. – Customer care/ service 10 out of 10! Tabitha was extremely allergy considerate and a pleasure to interact with. At 50g’s, that’s half what is considered standard for knitters. However, as primarily a crochet amigurumi artist, I see that 50g is much more in keeping with projects of those sizes over a sweater or large shawl. Colors – okay, I’m a bit on the fence on this one. I love the hand dyed! But since each skein is dyed individually, I admit I’d be concerned if I were to knit a multi-skein project that there would be uniformity… especially if the skeins weren’t purchased at the same time. Weights – as of today, only the single sport weight option offered. From Tabitha: As far as other eco practices, I try to be as low impact as I possibly can be. 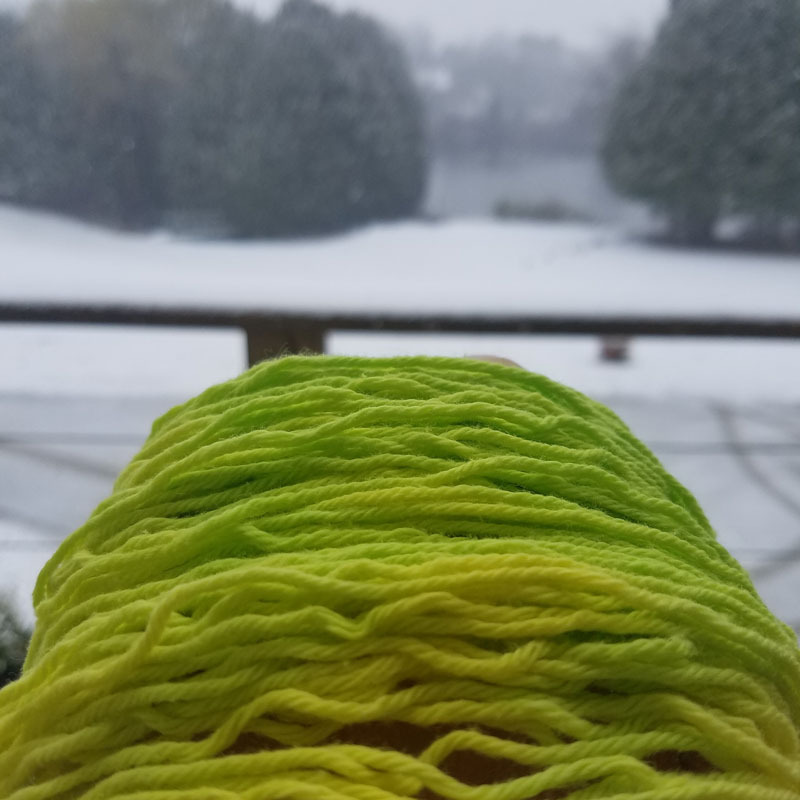 I’m primarily a crochet artist, and I often use upcycled yarn; I also do not throw away any yarn scraps, but use them for stuffing so they don’t end up in a landfill. When I don’t have any yarn scraps, I use recycled acrylic stuffing where possible, or wool (which uses less water to produce than cotton and is available to me locally) if the customer requests it.